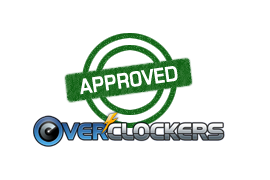 Welcome Overclockers to this edition of “In Review”. Today’s review will be the GIGABYTE XM300 Gaming Mouse. 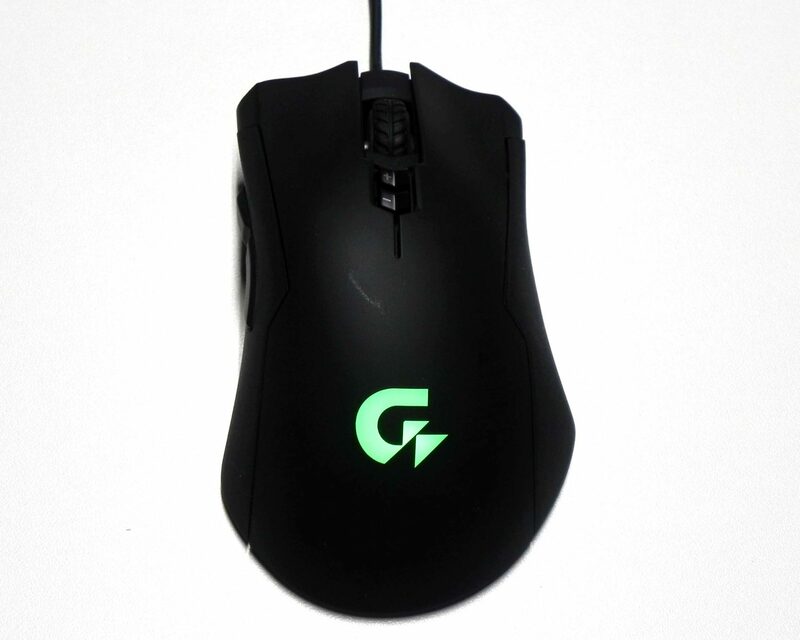 There are a plethora of gaming mice out there to choose from, so is the XM300 right for you? Well, pull up your chair, get your favorite beverage ready, and lets take a look at what GIGABYTE has to offer with their XM300. Let’s start with the specifications and features. 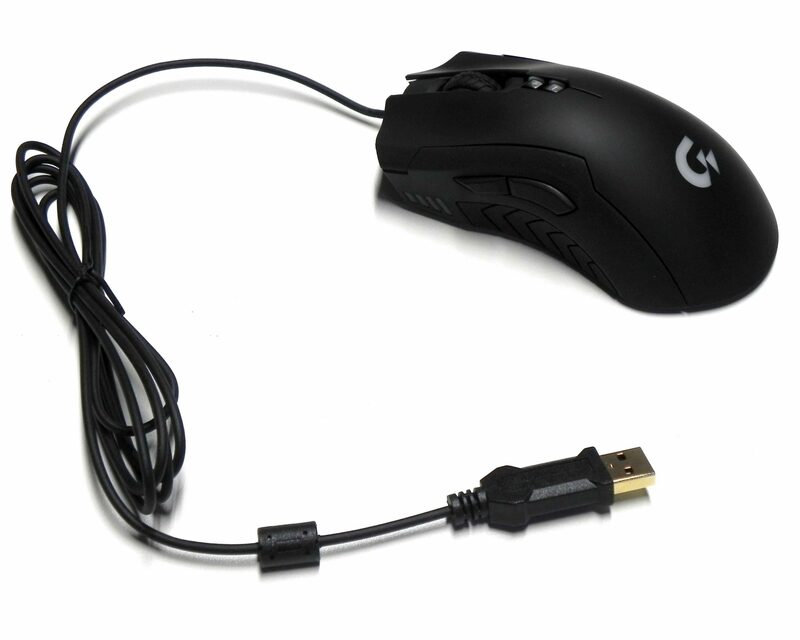 The XM300 is an asymmetrical, seven button, wired mouse. It utilizes a Pixart 3988 optical sensor. The sensitivity is adjustable from 50-6400 DPI in increments of 50 DPI with a frame rate of up to 12,500 frames per second. The below chart shows the full details. The packaging GIGABYTE uses is a matte black box with a folding cover to showcase the product. The XM300 is advertised as an “Xtreme Gaming” mouse. We will put their claim to the test. The front of the box shows this model uses a 6400 DPI optical sensor and has 16.8 million customizable colors. The left side displays the gold-plated USB connector, has rubber grips, and Teflon feet this mouse utilizes. The right side lists the XM300’s 20 million click Omron switches, on the fly DPI adjustment, and four stage DPI indicator. The back of the package maps these functions with a numeric legend indicating where these features are located on the mouse. It also charts the system requirements, contents, and how to download the optional software. The bottom is where you will find the UPC, model number, and serial number. Included in the packaging is the XM300 and two extra set of Teflon feet; one black, one white. With the packaging out of the way we can take a closer look at what matters most. 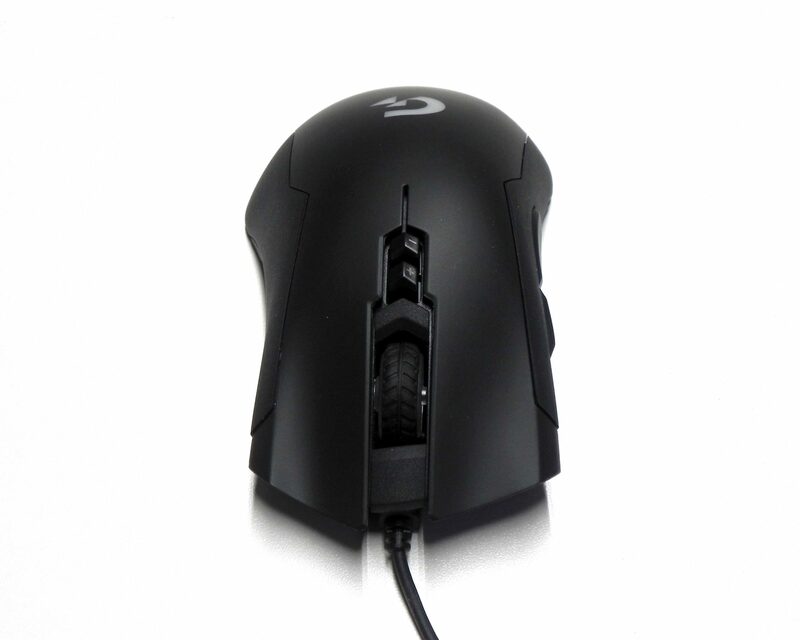 The XM300 is a hard wired matte black plastic mouse with rubber grips on the left and right sides. There is a rubber wheel for scrolling and a total of seven buttons strategically placed for maximum efficiency. Six of these are programmable with the left mouse button being the only one dedicated to it’s primary function. The cable is 1.8 meters long, rubber coated, and ends with a gold-plated USB connector. The top of the XM300 is where you find a pair of Omron 20 million click left and right buttons. The wheel works for scrolling as well as a middle mouse button. It does not, however, scroll left or right, only up and down. Below the wheel are the DPI up and down buttons. At the palm we see the GIGABYTE “G” logo. On the left side is where you will find the four phase DPI indicator. The four lights glow a soft white color and will illuminate from one light to four lights depending on what the DPI is set to. Behind the indicator is the left rubber grip. There is a good pattern to the rubber and the grip is comfortable and effective. Above the grip are the forward and backward buttons. These are raised and placed exactly where they should be with the tip of the thumb directly between the buttons. The right side is devoid of any buttons. The only feature to see here is the right grip. The bottom of the XM300 is where you find the three Teflon feet. 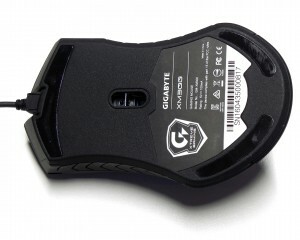 The optical sensor is located at the middle of the mouse, while the information label can be found at the back. You can see the wired connection is raised far enough from the bottom to prevent any cable drag. The Xtreme Macro Engine by GIGABYTE can be downloaded to customize the user experience further. This review will not go into full detail of this software, however, we will highlight the major functions. The XME software allows the user to set the GIGABYTE logo to any of the 16.8 million colors as well as determine if the LED will pulse, stay a consistent color, or cycle colors. It is also possible to program six of the XM300’s buttons with custom macros or pre-loaded functions. You can even program what the scroll forward and scroll backward wheel does. DPI, wheel sensitivity, and refresh rate are all adjustable as well. There is even a section for updating the software and firmware to make sure you are always current. The software GIGABYTE offers seems very capable to customize the XM300 to nearly any configuration you desire. There are also five profiles available. The XM300 gaming mouse slides smoothly on both bare table top or neoprene mouse pad due to it’s Teflon feet. Add in the fact GIGABYTE has included two additional sets of feet and it leaves little doubt you will never have to worry about it’s ability to glide over any surface. The XM300’s asymmetrical shape allows for a comfortable hold whether you prefer the claw, finger tip approach, or are a flat out palmer. The rubber side pads keep the mouse securely in your grasp at all times. There was zero slip while lifting to re-position or violent back and forth strafing. The Omron switches provide a good tactile feedback as does the scrolling wheel. The wheel button feels a little stiff, but not enough to be considered a negative. Button travel was not excessive and felt just right. With a 20 million click life span the buttons should last for the lifetime of the mouse. For the bling factor GIGABYTE decided on their simple but highly recognizable “G” logo. The LED is plenty bright and can be programmed to any single color, set to transition through a series of colors, and can gradually pulse on and off. The question of why they used an optical sensor over a laser is a rather technical one, and there are a few possible answers. One reason is optical sensors are generally cheaper so it helps keep the price down. Another would be the better performance of optical sensors on certain surfaces. Finally it could be as simple as marketing. Having optical and laser options allows for a larger demographic. Whatever the reasoning it should be noted, the Pixart 3988 sensor is highly capable and is not a negative mark by any means. In fact it actually senses better than laser sensors on highly reflective surfaces. As far as performance, the XM300 is excellent. 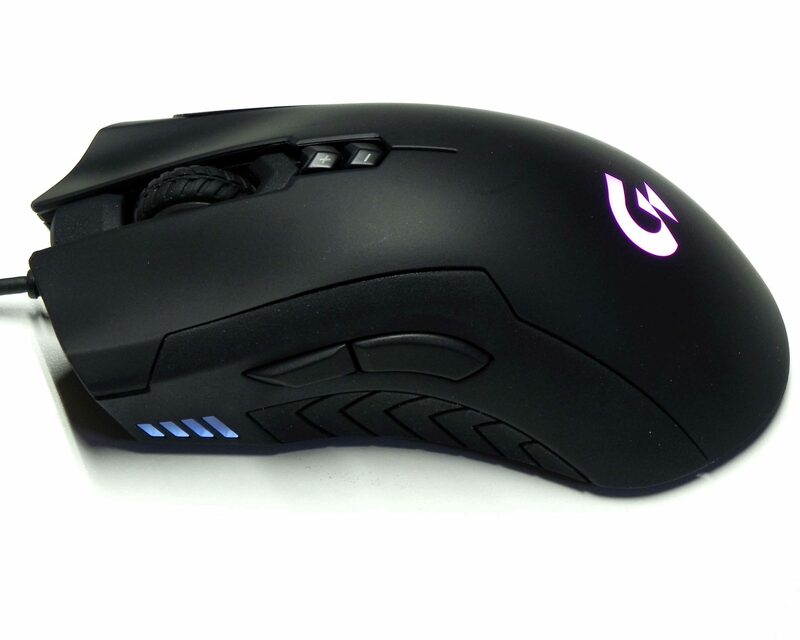 The XM300 is a serious gaming mouse and can rival many of the top brands. It has most of the features gamers today are looking for. 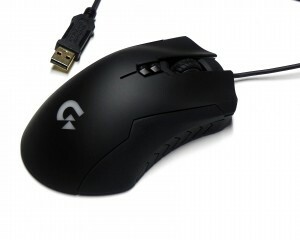 Still, it’s lacking some of the features other extreme gaming mice have such as adjustable weights, grip height adjustment, or left and right wheel scrolling. This is very minor, though, as it was comfortable and the 101g weight felt quite adequate. Also, it should be mentioned, purchasing a mouse is very subjective as every user will be looking for something different. This is exactly why there are so many options available. Pricing for the XM300 is good. Newegg has it listed for $39.99 which is what you would expect for an entry-level gaming mouse and the XM300 is far better than entry-level. Factoring in the performance, features and pricing and it’s easy to see, the XM300 deserves the Overclockers.com stamp of approval. My wired mouse just decided to become a lump of plastic and I really don't care to repair it (Logitech G400s). It's been a while since I looked at meeces and I'd like any follow up impressions you've had since you wrote this review. Or have you used it since the review? I use a wireless Logitech G510 for my office-type mousing but prefer wired for gaming. Other thoughts are welcome as well. I'm currently reviewing the Patriot Viper V560. It's about the same price and has more options. It's Patriot's first gaming mouse so no data on longevity. Either way both mice are very nice.